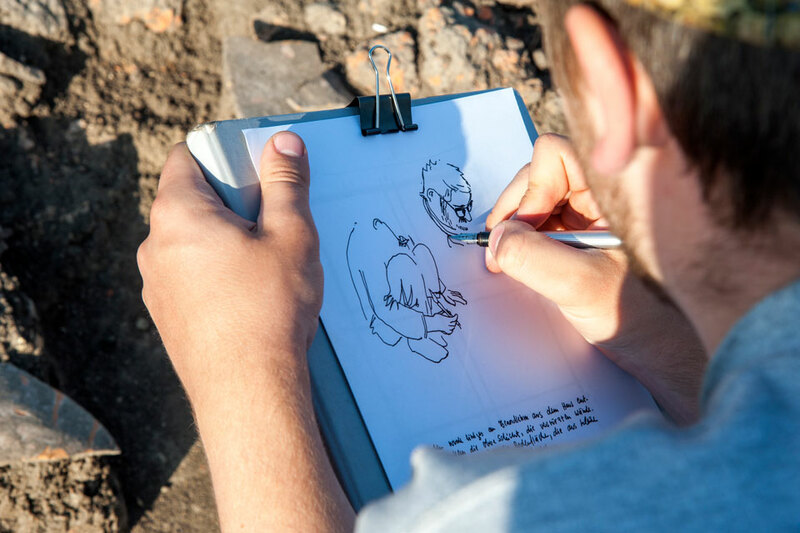 Jonas Fischer, a student of the Muthesius University of Fine Arts and Design in Kiel is joining archaeologists of the SFB 1266 (Christian-Albrechts University) on an expedition to Moldavia. There, the remains of a 6000 year old settlement will be investigated. 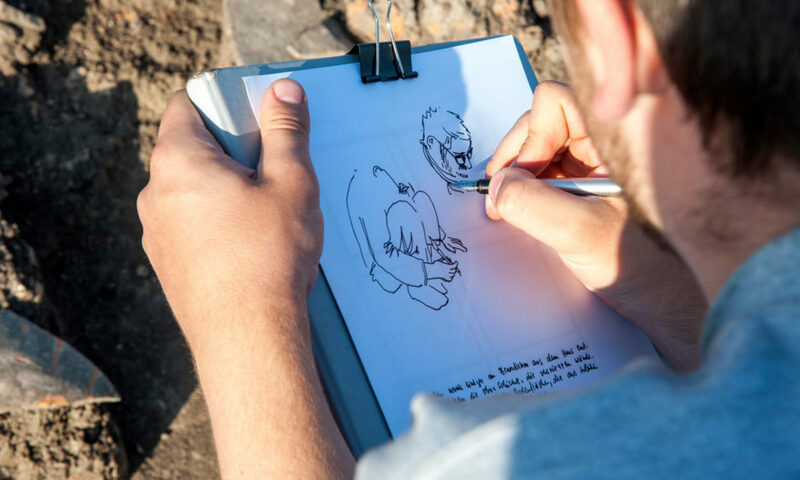 His experiences and impressions of everyday on an excavation are caught in the quick strokes of his drawings and can be followed along with on Archaeo Lounge. Is the research life of archaeologists in exotic foreign countries really so adventurous and romantic? The bringing together of different people and cultures and the peculiarities of living and working in such close quarters are extraordinary situations providing singular stories. The realization of the idea to capture the daily life of an excavation campaign in the form of a drawn diary is a communal project. 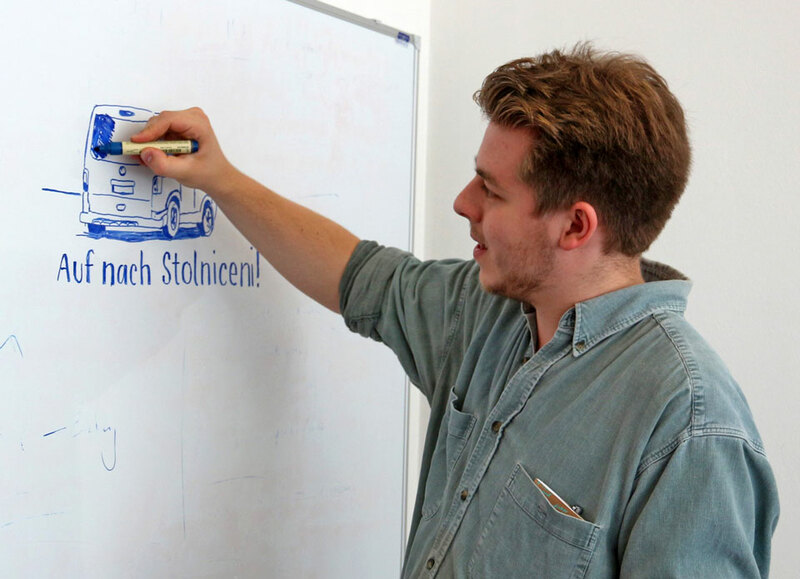 It is the result of close collaboration with Volker Sponholz of the Department Kreative Stadt der Landeshauptstadt Kiel and Markus Huber, the Professor of Illustration at the Muthesius Kunsthochschule Kiel.